When I first started getting into YA books, Julie Kagawa’s Iron Fey series was one of the first I read and fell in love with. I had mostly kept up with her books but sometime between Talon and the Iron Fey spin-off, I stopped. 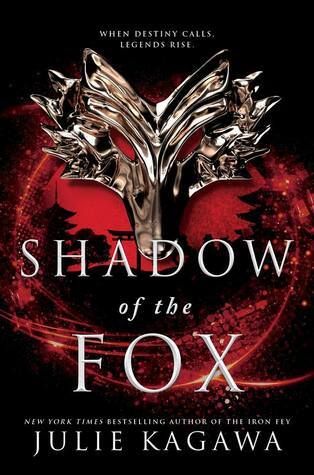 Then I heard about Shadow of the Fox and it became one of my most anticipated books this year. And guess what? It did not disappoint! It’s about Yumeko, a half-kitsune (fox), half-human girl raised by the Silent Winds monks to control her yokai nature. In other words, subdue the side of her that’s magical and predisposed to (harmless) mischief. But when the monks and her home are burned down for protecting part of an ancient scroll that can summon the Great Kami Dragon to grant one terrible wish, Yumeko knows she has to flee and continue protecting it. That’s when she’s thrown together with Kage Tatsumi, a samurai tasked with finding the scroll at any cost. She enlists his protection in exchange for “helping” him find the scroll and that’s when things really start to get interesting. She’s playing a dangerous game and the longer they’re together, the more complicated it gets for them both. Which is of course what makes it so good. I love seeing characters on a quest, especially when they pick up new people along the way. The entire time I read I kept thinking of the animes I love and how this would make a great one. It’s just so fun and I’m really excited to see where it goes next. What's your favorite anime? • Fushigi Yuugi! It's still my favorite after rewatching it a couple years ago and I'd honestly love to rewatch it again. 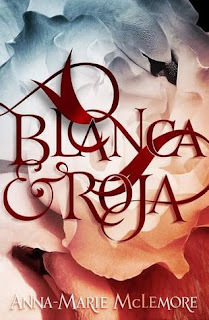 Anna-Marie McLemore is the only author whose magical realism novels never fail to resonate with me and her latest, Blanca and Roja, is my favorite yet. I’m always impressed by how McLemore is able to convince me to suspend my disbelief and just run with the story, even if not all the questions are perfectly answered. And it’s because of the characters and the relationships between them all. In Blanca and Roja, it’s these two sisters and their bond at the center of it. The del Cisne women are “cursed” — for each pair of sisters, one is taken away to become a swan while the other stays behind as a human. Blanca and Roja refuse to leave the other behind but is that love enough to stop the curse? What happens when your family believes you’re the sister that will be taken away? The interplay between love, family and rivalry was a fascinating dynamic to explore. And then tied into that are two boys who become drawn to their plight and the magic of the woods. They have their own sub-plot they was also interesting and meshed well with that of the sisters. Again, I was super impressed by how McLemore brought everything together and I’m excited for whatever she writes next. What’s your favorite fairytale? • Little Mermaid! Even though it’s sad, it’s always been my favorite.